March 12th and October 10th. 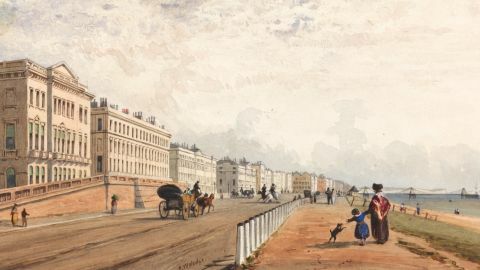 Eastbourne has, within a very few years, become fashionable as a watering-place. The bathing is very good, and a number of machines are employed. It has also the advantage of mineral springs, the waters of which are said to resemble those of Clifton. 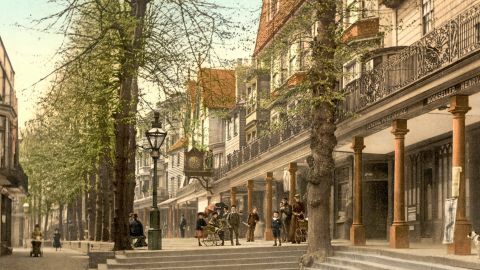 A theatre, a ball-room, a library, and reading-rooms are the principal attractions of the town, and there are good walks and rides. 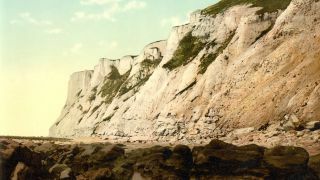 It lies about three miles west of Beachy Head, is much recommended for its bracing air, and offers the somewhat rare attractions of the beauty of country scenery and stately trees, almost close to the sea. Eastbourne town lies about a mile and a half from the beach or sea-houses, the actual watering place. 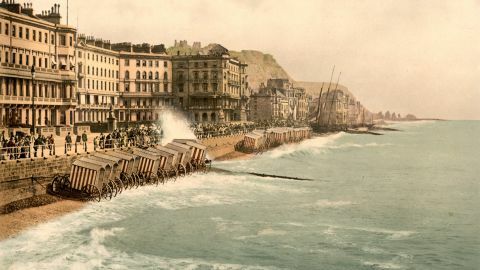 The sea-houses comprise hotels, lodging houses, baths, &c. Beachy Head on the right is a favourite excursion point. To the left is the esplanade, and further inward the large circular fort of redoubts; and in the distance several Martello towers. Eastbourne has one of the finest churches in the country – Norman and early English. The ruins of a Friary are still to be seen. Beachy Head, two miles, should be visited; it is the most stupendous cliff along the coast, being 664 feet in perpendicular height; and when the storm rages along the channel, it has a grand and sublime appearance. Compton Place one mile.